"The ability to change the program via the text box was very good"
"I like the cute robot and concept, and I look forward to the app!" "I liked that the game was simple for my child to understand." "I like how it is fun but you are also learning to code." "I had fun figuring out which way was the best way to get to the goal." "It was good to know that the game challenged my son to think logically to construct the instructions. " "I liked the simplicity and clarity. 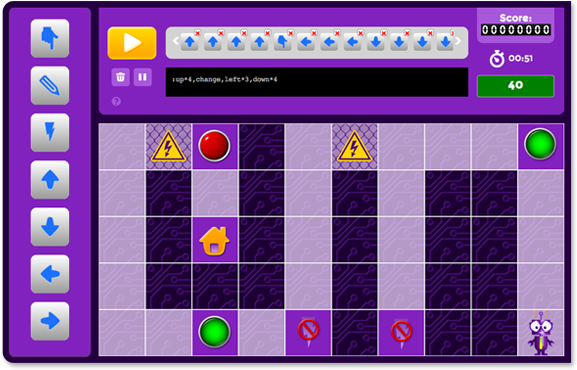 I like that you can use the arrows and see a graphical display along with the text as you add moves." "My kids enjoyed it and it was easy to learn, it just needs more levels and more challenge"
"I liked the noises it made as it went through the maze, I just wish I had the ability to choose different robots and make them have infinite energy!" "I like that it's available online and can be played on ANYTHING!" "We are using it for our year long coding program for 5th graders." "We are using this as a Free choice time or as an intro to our programming unit." "This will be a simple introduction to the beginning of our computer logic unit"
"I can use this in my curriculum to teach kids about logic processes." "I have already used it in several of my classes as a computer programming activity. I teach technology classes and use several computer programming resources such as Scratch and Alice." "I can use this as part of our children's early introduction to programming for 4-11 year olds. The games primary strengths are that it is engaging, colorful, simple to use, and allows the children to progress independently." It's smart. It's fun. 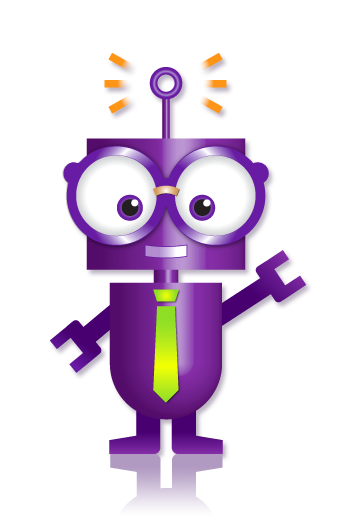 BotLogic.us is all about helping children and adults to develop and maintain strong logic and spatial reasoning skills that will benefit them for a lifetime.